Texas agency honors Norman Guinasso with lifetime achievement award. 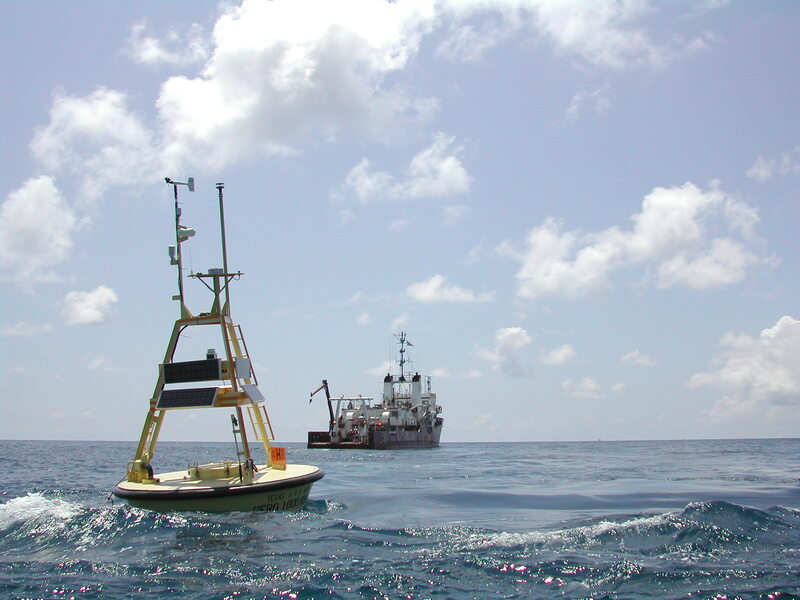 Norman Guinasso pioneered the buoy monitoring system. Dr. Norman Guinasso, has received the prestigious 2014 Oil Spill Prevention and Response Act (OSPRA) Lifetime Achievement Award for his dedication to the development and implementation of the Texas Automated Buoy System (TABS). Guinasso is the former director and deputy of the Geochemical and Environmental Research Group and is currently serving as a research professor within the organization. TABS is an automated current monitoring system that can help predict the movement of oil spills helping to protect the health of the Texas coastline. Guinasso has served as the project manager at Texas A&M University for TABS since 1994 and been a driving force behind this project’s success. In addition to his scientific and leadership contributions to GERG, Guinasso has been a member of the Texas A&M Council of Principal Investigators and on the advisory committee for the Sustainable Coastal Margins Program at Texas A&M University. He received the 2002 Deans’ Distinguished Achievement Award for Research Scientist, College of Geosciences. The OSPRA award is selected by a panel which is appointed by the Texas General Land Office and given to someone who has demonstrated continuous commitment to the Texas coastal environment. With over 36 years of experience studying the ocean, Guinasso has exemplified this high level of dedication to science, and to our environment.